Liverpool Ladies are preparing to begin their 2017/18 Women’s Super League campaign against Everton in two weeks. The Merseyside derby season opener promises to be a blockbuster as newly-promoted Everton aim to get their revenge on their FA Cup defeat in March. Liverpool came out on top as 2-1 winners that day but Reds’ skipper Gemma Bonner believes it could be an even tougher contest this time around. Andy Spence has added depth to his Everton squad ahead of their return to the WSL 1 and Bonner knows they will be a threat. She has singled out Blues’ captain Danielle Turner as their key player. “It’s been a long pre-season but the girls have been working really hard for the first game against Everton and we just can’t wait to get going now,” Bonner told This Is Anfield. “We played them last season and the season before and they have a good core group of players who have come through together and played lots together. “They have added to that again this season. Danielle (Turner) has been at the club for a while and she’s now the captain so for us she will be a threat. “She has shown what she can do in previous years against us but they have strengthened all over the pitch. “They are a team that are used to winning so I’m sure they will want to continue that when they come back into WSL 1. “I’m expecting an exciting contest,” she added. 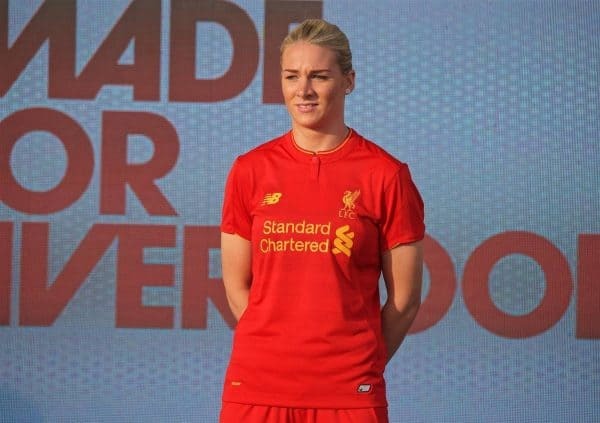 One player who won’t be in the Liverpool squad for the 2017/18 season is Netherlands international and star of the European Championship winning side, Shanice van de Sanden. She has joined Champions League winners Lyon for the upcoming season and Bonner admitted it was a ‘blow’ to lose the much-loved Liverpool winger. “Losing Shanice from any team would be a loss but over the years we have lost players and it also gives the opportunity for younger players to come through,” Bonner continued. “Players have to step up and showcase what they can do and it’s no different to any situation we have been in before. 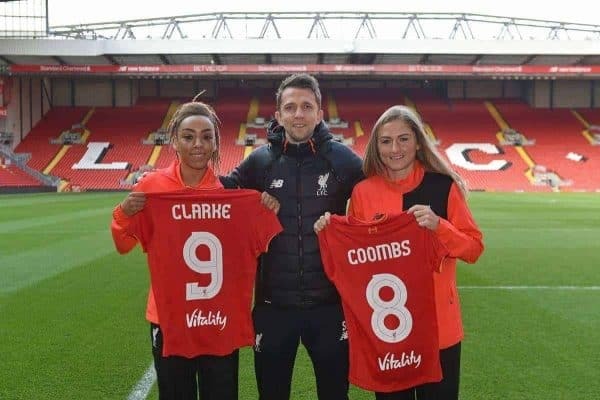 Liverpool Ladies brought in several new players ahead of the Spring Series, including England internationals Jess Clarke, Laura Coombs and Casey Stoney MBE. They also had five representatives at the European Championships this summer as Alex Greenwood, Siobhan Chamberlain, Caroline Weir, van de Sanden and Stoney all joined up with their respective nations. Bonner missed out on selection for England despite performing in the European qualifiers but she has earned a call-up for their World Cup qualifier against Russia at Prenton Park on Tuesday 19th September. The Reds’ centre-back is looking forward to returning to her national squad and hopes England can bounce back from their disappointing exit at the Euros. “I am delighted to be back in the squad as I was disappointed to miss out on the Euros. “I’m looking forward to the opportunity I have now to affect what happens in the future as the Euros have gone. The FA Women’s Super League season kicks-off on the weekend of the 22-24 September. For more information on both leagues and to purchase tickets, visit www.FAWSL.com. Liverpool face Everton in the first match of the campaign on Friday, September 22.